You are welcome to use any material from this page for any press releases, radio or television announcements or book reviews. However, please do not alter any of the material in any way. If you want additional information, please contact me at the places listed at the bottom of this page. Where have all our heroes gone? Do they appear briefly in response to a tragedy like 9/11, only to return anonymously to their fire and police stations? Or have celebrities of popular culture in fact replaced them? Has name recognition become the accepted criterion for heroism? Historian Robert Lockwood Mills tackles this conundrum in his fifth book, The Lindbergh Syndrome: Heroes and Celebrities in a New Gilded Age. 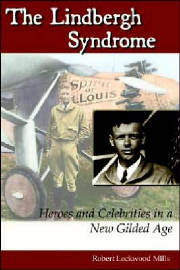 Mr. Mills uses Charles Lindbergh's May, 1927 New York-Paris flight as a frame of reference to study the political, media, and cyclical (Gilded Age) forces that transformed a shy aviator who thought of himself as a scientist into the preeminent celebrity icon of his era...a virtual prisoner of his own public visibility. "Why," Mr. Mills asks, "Did Neil Armstrong, a comparable hero, never encounter the same media frenzy that disrupted Lindbergh's life?" And, "Why did two Frenchmen, far better known than Lindbergh, vanish from the history books along with their plane when it was lost during a Paris-New York flight earlier that same month?" An academic's approach to history fails to ask these questions, let alone answers them. Textbooks are no help. Mr. Mills' anecdotal approach succeeds by placing the events of 1927 into historical context, thereby guiding the reader to an understanding of the difference between true heroes and mere celebrities. The reader also gleans that history often repeats itself without our realizing it. The book is available directly from the publisher at wheatmark.com/bookstore, or at barnesandnoble.com. Mr. Mills, a Connecticut resident, is available for interviews. He can be reached at lockwoodmills@yahoo.com or by calling 203-459-0121. 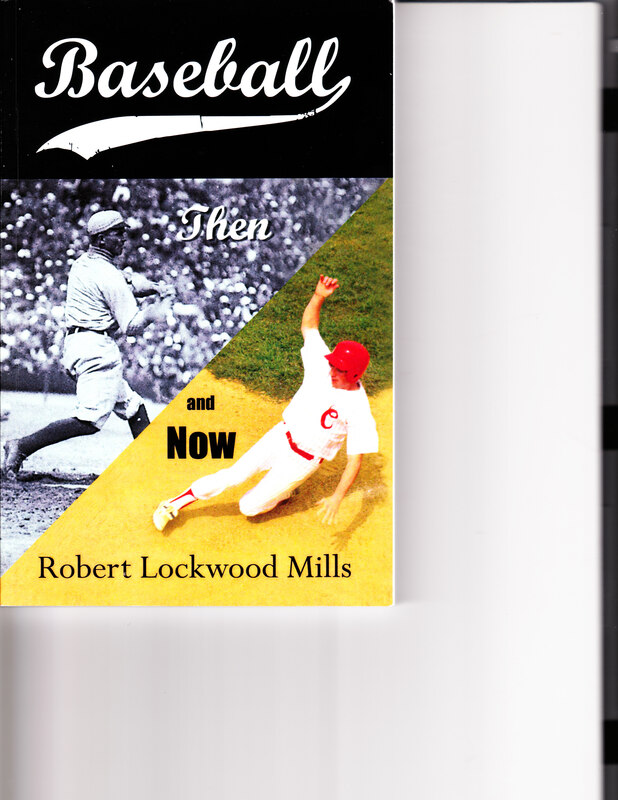 Robert Lockwood Mills has completed his second book, Baseball--Then and Now. While it has not been published yet, it is just a matter of time and perseverance. Please check back from time to time to see its progress. Meanwhile, to see more about it, please go here. Robert Lockwood Mills is a self-taught historian who has relied more on personal research than printed sources throughout his life. As a result, his earlier works and this book carry no footnotes, and only limited bibliographical references. For most of his life Mr. Mills was a financial professional, including 28 years as a broker with Wall Street firms. In 2001 he retired to devote full time to his former avocation, writing. His credits include It Didn’t Happen the Way You Think (Heritage Books, 1994) a revisionist’s account of the Lincoln assassination, The Trial of John Wilkes Booth, a docudrama on the same topic (broadcast on Connecticut Public Radio, 1999), co-authorship of The Illustrated History of Stamford (Connecticut), American Historical Press, 2001, and two personal biographies, The First Renaissance Man (subject Charles H. Mullen, Rutledge Books, 2001) and The Man Who Kept the Secret (subject Thomas Elmezzi, JET Foundation Press, 2004). 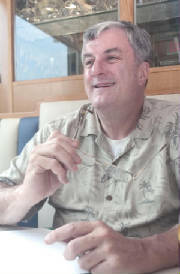 He has also been Project Editor for five Reader’s Digest Illustrated Trade Books on historical topics since 2001, and most recently has written articles and editorials for Free Press and for New Canaan Matters, a monthly newsletter in Connecticut. He has authored four one-act plays, including John Wilkes Booth at Garrett’s Farm, and has directed five, including Inherit the Wind for the Darien (Connecticut) Arts Center in 1991. He has appeared on stage as an actor in over 50 plays in community and professional theaters, and is a former semi-professional baseball player with a "career" batting average of .400 against former Boston Red Sox pitchers at three fantasy camps. Mr. Mills served on a panel on the Lincoln assassination at Ford’s Theater in 1998. He has made numerous radio and cable television appearances since the 1980s, has spoken on the Lincoln assassination and the Lizzie Borden case at libraries and retirement homes and for numerous fraternal organizations, and has lectured on 19th century history and on Charles Lindbergh at Norwalk (Connecticut) Community College. He is a political activist for progressive causes, and served as a poll watcher in Florida on Election Day, 2004. Mr. Mills is a widower with three grown daughters and four grandchildren. He lives in Monroe, Connecticut.